Today Microsoft laid out claims as to the efficacy of its Internet Explorer product, versions 8 and 9, the most recent editions, in blocking malware and protecting users. The blog post on the matter states that between two and five million malware attacks are blocked every day by the two browsers. It’s enough to make you wonder how the Internet Explorer 7 users are faring, as they lack the main element that is keeping users of IE8 and 9 safe: SmartScreen Filter. Yes, the SmartScreen Filter is what Microsoft is using to stop malware in its tracks. This is good, because as we all know, the average Internet browser is as smart as a normal piece of driftwood. Want proof? Out of every fourteen programs that users download with IE, again according to Microsoft, one is malware. That means that IE users are downloading harmful bits of data to their computer over seven percent of time. Such poor behavior must require some serious conditioning. Of course, Microsoft is proud of what IE8 and 9 have done together, but it is even prouder of what IE9 alone can do, and that is run a part of its architecture called Application Reputation. 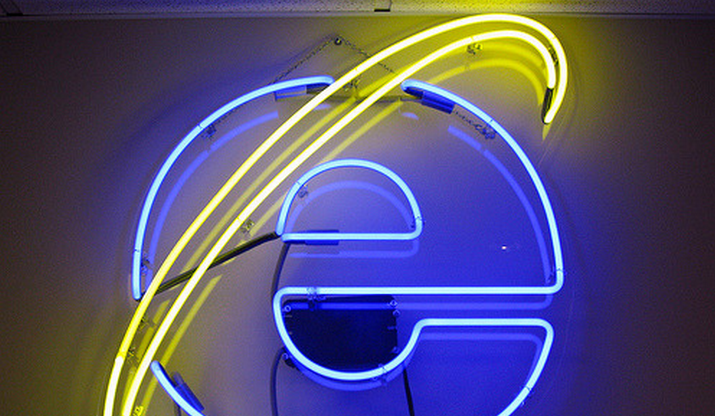 Application Reputation is the company’s latest attempt to save Internet Explorer from a future as a forgotten, unsafe browsing tool. IE9 adds another layer of defense against socially engineered attacks that now looks at the application being downloaded – this is in addition to the URL-based protection described above. This new layer of protection is called SmartScreen Application Reputation. When it comes to program downloads, other browsers today either warn on every file or don’t warn at all. Neither of these approaches helps the user make a better decision. Application Reputation also addresses a limitation present in all block-based approaches that happens at the beginning of new attacks, before a Web site or program has been identified as malicious. Using reputation helps protect users from newly released malware programs – pretending to be legitimate software programs – that are not yet detected by existing defense mechanisms. Reputation also enables IE9 to remove unnecessary warnings for downloads with an established positive reputation. Both publishers and individual applications build reputation. For example, a digitally signed application from a well-known publisher that has been widely downloaded has a better reputation than an unsigned application that has not yet been downloaded widely and has just been posted on a newly created Web site. It’s actually a smart bit of coding, and is another testament to the fact that Microsoft has finally turned over a new leaf with Internet Explorer 9, and may just stem the franchise’s steady market share losses. Then again, if IE had not been quite so damn unsafe for so many years, would the world of malware be as large and prosperous as it is today, if the grounds that it grew up on had been less fertile? We’ll leave that question to you, dear reader. For now, Microsoft is going to continue to plug IE9 at every possible turn. And it seems to be working: Clicky has IE9 racing towards 5% market share as we speak.